Lots of the articles about running and hypnosis and hypnotherapy over recent weeks here on the blog have offered up processes and techniques and strategies that have a by-product of enhancing confidence and inner strength when it comes to running or any other athletic or sporting endeavour. Even though I am continuing today with my theme of recent weeks aiming at helping runners, this stuff can be applied to a wide variety of other aspects of life too. When we are looking into enhancing running performance, many runners I encounter are troubled by what they deem to be previous failures, to the point where it is out of perspective and potentially affecting their performance detrimentally. If we ever perform in a way that is not to our liking, or even make a mistake with some element of our performance, then the key is to focus forwards instead of replying it and letting the poor performance dominate in any way. You see professional footballers, golfers, tennis players as well as runners who make a mistake and then they spiral downwards, instead of learning to overcome it and deal with it effectively there and then. Even people at the top of their game struggle with this at times. Instead of having a simmering notion of failure, we can start to uplift and learn from those so-called failures by framing and perceiving each as a real-life opportunity to learn, and as a direct means to enhance and better our own performance and in turn build our self-confidence. Some of the mindfulness processes and techniques that I teach my clients helps them to review their performance and their previous efforts. 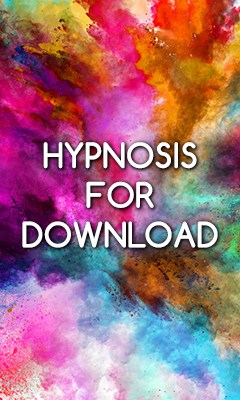 It can also be examined when hypnotised, by a hypnotherapist or when in a self-hypnosis session. Using self-hypnosis for a clearer reflection on previous training or races is a valuable skill. As runners, we need to adopt a mindset that is always encouraging us to look forward during performances, rather than look back at mistakes. There is time after training and races to review the failures as learning experiences. Seligman found that upon measuring the levels of optimism that athletes had, the ones that were more optimistic tended to perform better and more strongly. The way optimism is explained in his work is in terms of the way people respond to their own success and failure. It is this attribution theory that states that humans need to explain why events happen. So we explain to ourselves why we performed well or badly and we attribute things to our success and failure. We find or invent causes for things that happen to us. It is not necessarily the real reason the thing occurs, but it is the way a person interprets the cause of the thing that happened. As I have written about in depth here before, the way athletes and runners think effects their performance and as we can deal with thoughts and ways of thinking with hypnosis, then we can take up Seligman’s theory and apply it even more. For athletes or sportspeople of any kind, there are three ways in which we make these attributions to our success and failure. Firstly, we have the permanent-temporary example. Something permanent is quite absolute and tends to lead to people thinking along the lines of, “I can never run a 4 hour marathon.” Whereas a temporary type of thought would be, “I couldn’t run a 4 hour marathon on that occasion.” The permanent ones are thought of as immoveable unable to change, whereas the temporary ones may change over time. Secondly, we the pervasive-specific example. A pervasive example would be, “I don’t do well in any running races.” A specific attribution would be, “I don’t do well in 10k races.” The pervasive attributions apply to all aspects of a situation, and the specific ones apply to only one or a few aspects. Finally, we have the personal-external example. A personal example would be, “I wasn’t feeling my best that day,” and an external one would be, “it was such a hot day making the race really tough” (I said this after the 2007 London marathon which was scorching hot). Do examine your own thoughts and see how you attribute certain reasons for your success or failure. Some people think they were lucky when they have done incredibly well – to go through all the training for any long distance running event is surely not down to luck, is it? This is very much a temporary, specific, external thought process. Others might say they did well because of all that effort, hours of training and dedication which is a far more permanent, pervasive and personal way to attribute success. Step Two: Deepen the hypnosis by running through a successful event. Imagine being there, running or performing in that way and run through it in detail, engaging as many of your senses as possible. As you think about the event, reflect upon it and ask yourself the reasons for your success and notice your thoughts without editing them at all, trust what you came up with initially. Step Three: Deepen further by running through an event that did not go as you wanted, just observe the event, without getting into it too much; note what you did and then ask yourself the reasons for the results you got, and notice what your responses are. Again, make sure you do not edit your thoughts, let them be as authentic as possible so that you get the honest account of what you do inside your mind. Step Four: Exit hypnosis and make a note of what the thoughts were. Note how you attribute success and failure. Step Five: Finally, you now think of the kinds of thoughts that you can affirm to yourself and dominate your thoughts with as you go forward, in order to be more progressive and truthful about how you attribute your success or failure and ensure that you are not getting things out of perspective. Tomorrow then, I am going to start writing about how to use rational emotive processes and structures to be more optimistic and how to subsequently enhance performance. For now, heighten your awareness of what made you believe were the reasons you had success or failure. 1. Has poor psychology held you back from performing at your best? Would you benefit from advancing your mental game? 2. Would you like a satisfying and meaningful career as a hypnotherapist helping others performa better? 3. Have you read my book Hypnosis for Running: Training Your Mind to Maximise Your Running Performance? It helps any runner, athlete or sportsperson maximise performance.